KulaBrands always work with the products that are unique and innovative in nature as well as they are easily usable and workable. 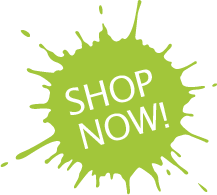 KulaBrands try to make life easy for the consumers of the product along with the creative inventors who put great effort to bring their ideas into real products. KulaBrands has been working in the development of various innovative ideas. 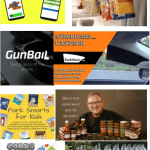 Several products have been successfully launched with the association of kulaBrands. One of these successfully launched products is Zip n Store. 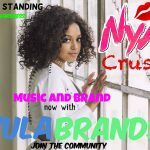 Zip n Store was the first ever product of kulaBrands and it collected more than $20,000 in crowdfunding pool within thirty minutes of the campaign. It ended up gaining $152,716 in total. Zip n store gained success within minutes and still, it is improving day by day. Zip n Store is an ultimate food storage system that simplifies the way you store, organize and find your food! It is an ideal product for those who love to have an organized kitchen. 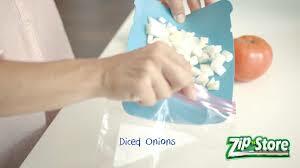 With three different ways to help you store your food, Zip n Store is storage made simple and easy. This food storage system helps to preserve food for a much longer period of time than any other air-filled plastic containers. These plastic bags are easy to use and very lightweight as well as convenient. Zip n Store is a perfect storage system that is very easy to install, you can use it in your cabinet, refrigerator and anywhere else to assemble your food and prevent all the mess. Zip n Store provides the storage bags that are transparent so that you can easily be aware of food that should be consumed, it prevents food wastage, smelly fridge, and messy space. Zip n Store can organize your kitchen and arrange your food in such a way that you will fall in love with organizing and cleaning. A zip n Store storage system includes everything for installation in refrigerators with glass or wire shelving and can also be installed in pantries, cabinets, craft rooms, garages and more. The Zip n store storage holds up to 20 seal-top plastic storage bags of all brands and types of food products. 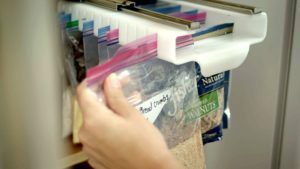 Using unique full-extension track assemblies that install in minutes, the Full-Size Easy Store Organizer allows you convenient organization, while giving you ease of access to leftovers or stored foods. Zip n Store helps in organizing and storing food in seconds, it has never been so easier, simpler and fun. Zip n Store has clear storage bags that allow you to look at the food that should be consumed in a specific period of time. It helps in preventing food from rotting and wastage. That eventually helps you in saving your time, money by saving your food. Zip n Store comes with the Fill n Zip cups that help to easily fill up your storage bags without making any mess and hassle. This added feature of Zip n Store is unique and has been developed specially to bring easiness for the users of Zip n Store in organizing food. 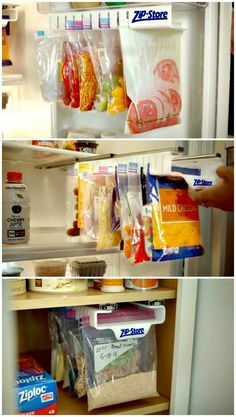 You can easily fill up your bags and store them in a fridge or anywhere you want. Once you are done with the filling up your bags the next step is to store your bags in the freezer and let them freeze. You can freeze the accurate portions of food and use them later. This will help you in assembling the food and defrosting the right amount of food at the given time. Zip n Store comes with the tray like a container that has different compartments perfect for the food amount that has to be defrosted for reuse. Zip n Store includes several products that are perfect for organizing and assembling your food that will help you in a better kitchen and hassle-free kitchen management. This product is number one selling product on Amazon with the excellent reviews by all the consumers. Zip n Store tends to make life easier by providing the solution for the most difficult and messy problems in the kitchen. It is the ultimate food storage system that easily gets install in your fridge or cabinet or anywhere you want, it comes with transparent plastic zip lock bags that are more convenient and manageable.